In Brussels ended a tense meeting of the EU Permanent Representatives. It was stressful not only for them, but also for those whose fate they decided - Nord Stream 2, Gazprom and Russia. In Moscow, they closely watched whether Emmanuel Macron succeeded in spite of Angela Merkel to block the gas pipeline along the bottom of the Baltic. On the eve of the German newspaper Süddeutsche Zeitung, citing the Elysee Palace, wrote that France does not want to strengthen the "dependence of Europe" on Russia. In short, everything went according to the scenario of Donald Trump. Initially, the procedure was launched by Romania, which now chairs the union and sets the agenda. With Austria and Bulgaria benevolent to Moscow, such initiatives did not pass. Bucharest proposed amending the Third Energy Package (TEP), namely its Gas Directive. Romania and 12 other member countries, including France, conceived the idea of extending the TEP to third countries building gas pipelines to Europe. There was a threat to the Nord Stream - 2, going from the Baltic coast of Russia to the German Greifswald. If the amendments had been approved, Gazprom could not remain both the supplier and the operator of the pipe, although they could still build a gas pipeline. However, in Paris and Washington, apparently, they forgot that Germany is not Bulgaria, which can be frightened by the lack of subsidies and forced to torpedo “South Stream”. The German Chancellor, with extreme restraint, made it clear that “Nord Stream 2” is not a threat, but a benefit for Europe. Merkel did not give in to the pressure of the young Macron. 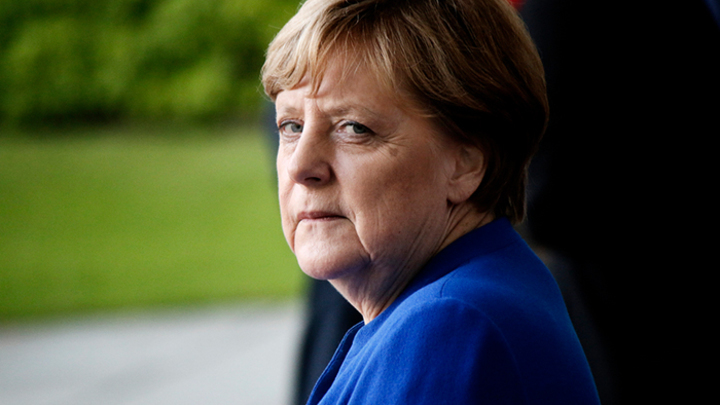 As a result, the permanent representatives came to a decision, which the media dubbed the "compromise", but in reality looking like a victory for Merkel. According to the last amendment, it is planned to toughen the norms of the Gas Directive. But there is one important "but." The country in which the pipe is adjacent to the European gas transmission network itself decides whether to grant an exception to third countries or not. Since the Nord Stream 2 comes out on land in the German Greifswald and there, respectively, adjoins the European gas system, the decision is made in Berlin, not in Brussels. According to the original version, which was supported by the Romanian side, the authority to grant exceptions for third countries or not should have been transferred to the European Commission. So what was decided was not only the fate of the Nord Stream 2, which is strategically important for Germany, but also the issue of national sovereignty, which the European Commission wanted to deprive 28 countries. In accordance with the Lisbon Treaty, energy belongs to the “mixed competences” - sovereignty is divided between member countries and the European Commission. In the long term, it is not necessary to throw off external threats. The day before the meeting in Brussels, Republicans and Senate Democrats in the United States spoke about the preparation of a resolution blocking Nord Stream 2. Opponents of the project as an argument in favor of the sanctions argue that the gas pipeline will deprive Kiev of the opportunity to remain a transit country for Russian “blue fuel” to Europe. Washington fears that by increasing its deliveries to Europe by 55 billion cubic meters, Russia will increase its influence on the European countries of NATO, and also deprive the United States of the prospects of withdrawing its liquefied natural gas in large volumes to the European Union. At what reciprocal concessions Berlin went before Paris, one can only guess. Germany again defended the most important energy project. Nevertheless, the American threat still hangs with the "Damocles sword" above the Europeans participating in the "Nord Stream - 2".